The hair mask is nice and leaves my hair soft and shiny but both the shampoo and conditioner are truly awful. They have left my hair extremely dry and I’ve found my hair badly knotted and fragile after using them. 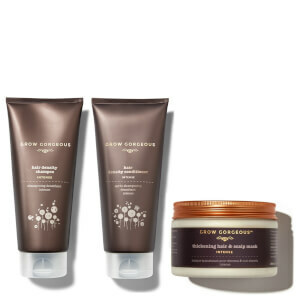 I trhought at first maybe my hair just needed to get used to the change of product but after using these products for two weeks my hair was ruined - a lot of breakage and split ends.. It is truly the most awful shampoo and conditioner I have ever used. The serum seems ok and is easy to apply and doesn’t leave my hair greasy. I cannot comment on whether it helps to strengthen hair because I’ve not been using it long enough. 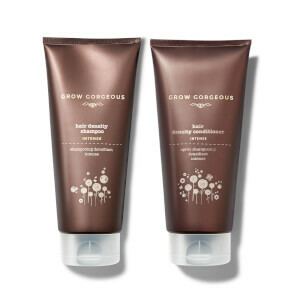 I would recommend you buy the mask and serum separately if you want to try grow gorgeous but not the whole bundle because the shampoo and conditioner are terrible and will ruin your hair.